Looking at the people who make the organization you are targeting, particularly recent changes, can be extremely telling as I noted in a previous blog. The governing principle even is that new hires are hired for reason. And the reason is not just replacing a departing officer or employee, although that is usually an initiating factor. An individual is hired because of what he or she is expected to do, and that expectation is based on that individual’s previous track record within the organization or other organizations. For example, an individual with a strong background in finance who comes in as chief operating officer can be expected to play to his or her strength, finance, regardless of the other demands of the position. In fact at the higher levels of the organization, new hires can be expected to try to replicate the successes that brought them the current job, their successes at a former employer or another place in the organization. In addition, and perhaps even more significantly, they can be expected to try to try to handle subjects or issues that gave them difficulties in the past. To some people, this transferred into an affirmative act – taking on a new challenge that, to them, resembles a past failure, with the clear intent that this time “it will be different”. For others, it means avoiding taking any course of action that was a “failure” for them in the past. If so this sounds somewhat psychological that is because it is. If you’re going to look at people in an organization, you should have some working knowledge of psychology. Now whether your particular flavor is Jung or Freud or someone else is up to you. But I strongly suggest you develop some knowledge of the basics of psychology. When I started in competitive intelligence, I did not have that in my background. 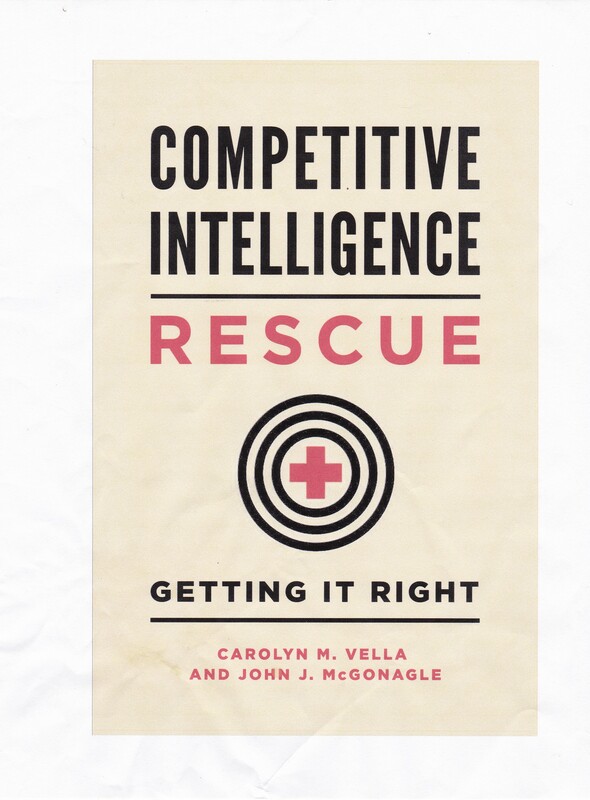 But my partner and significantly better half, Carolyn Vella, suggested it would be useful. She was dead right. Also, out of that suggestion, there is a larger lesson: you cannot and should not stop learning. If you expect to do well in your career, whether or not it is CI, keep your mind open and working. Read new and different things. Subscribe to – and READ — magazines that are a little off your beaten track. Ever read Smithsonian, The Economist, or National Geographic? Try one for a year. Then move to another. If you cannot think outside of the box, then try to make the box you think inside of larger.